An employment contract acts as a consensual agreement between an employer and employee and is the basis of any employment relationship. 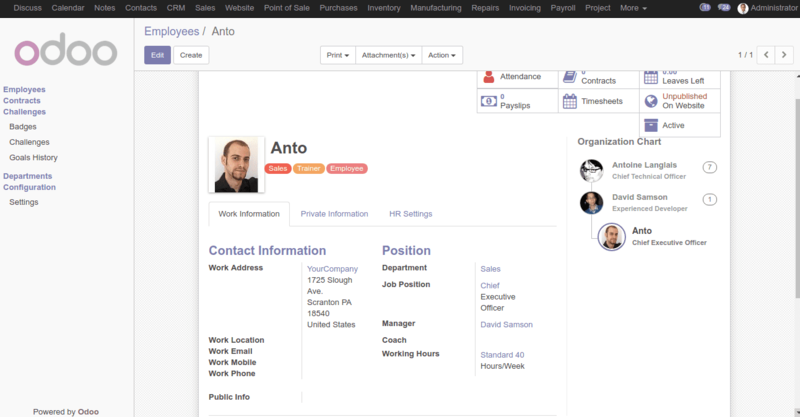 Odoo is an integrated open source application which efficiently manages the employee requisites. 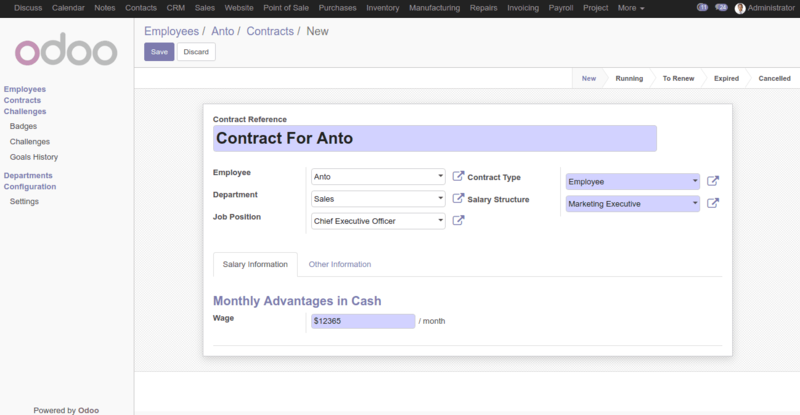 In Odoo, the payslip is generated with the data from the contract. Each and every employee should need a contract in order to calculate his payslip. You can assign several contracts per employee. Now we can have a look at it. Whenever a new employee joins our company, we need to create a contract for that employee containing his wage, salary structure etc. We can start the contract creation from the first stage, ie employee creation onwards. 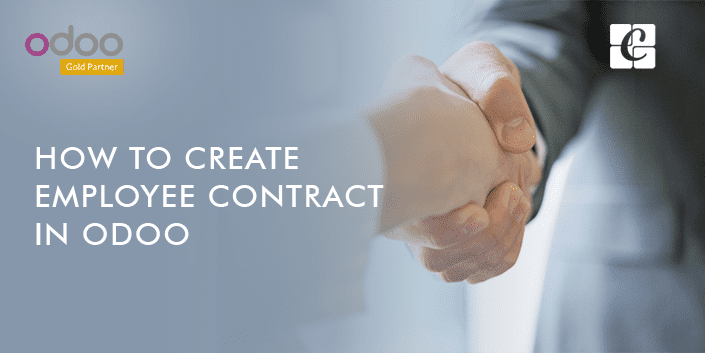 > Create a contract for the employee from the employee master itself. For that click on the Contracts super button and we can see that some of the employee details will be updated to the contract. Add the Salary Rules in the salary structure and based on these rules salary is computed. * Add the monthly salary for the employee. * Employee working schedule contains the Employees work time in day wise. 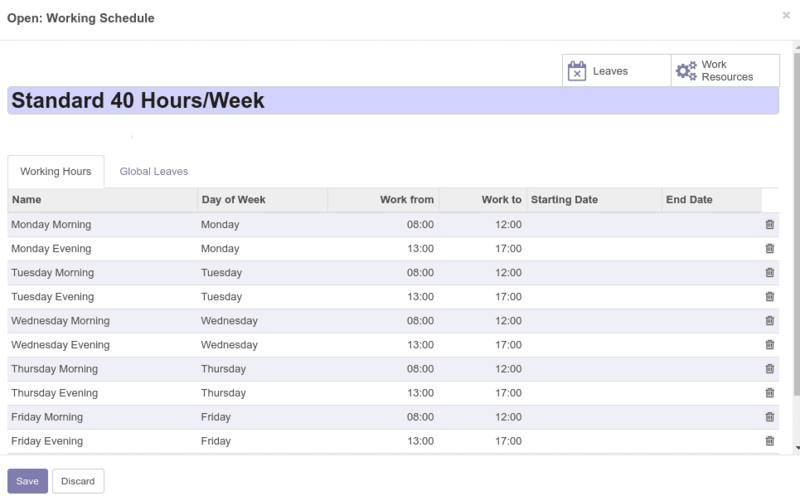 * This work schedule determine the worked days for the employee while creating the payslip. We need to add the timing for each Day of the week and also we can set work time for a particular range of period by providing the start date and end date. Give the Salary journal in order to generate the salary entries. Remember to set the Contract to running state. We can change the contract state to To renew, Expired, Cancelled according to our need. 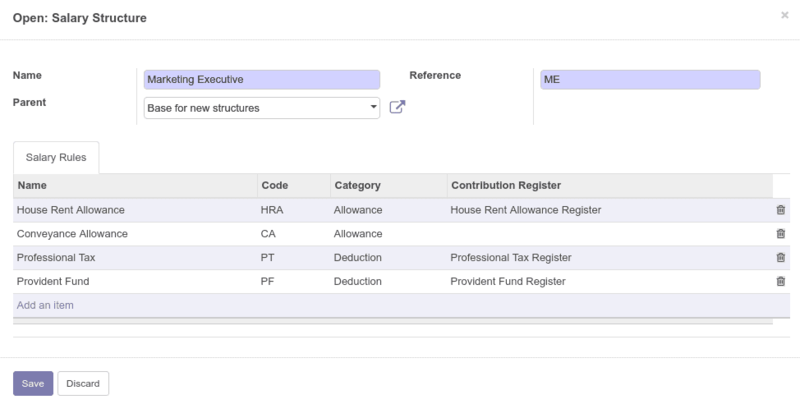 > when we create the salary slip the contract is automatically filled when we select the employee. Note that it will be automatically filled when the contract is in Running state only otherwise it will not fill automatically. > Each and every data in order to compute the salary slip is taken from the Employee Contract. These are all about the Odoo HR Contract.